bLAckwelder, a 150k SF creative office campus in Culver City that was converted from a bunch of rusty warehouses, has been one of the hottest places to locate an LA company. I work with many of the companies there (e.g. 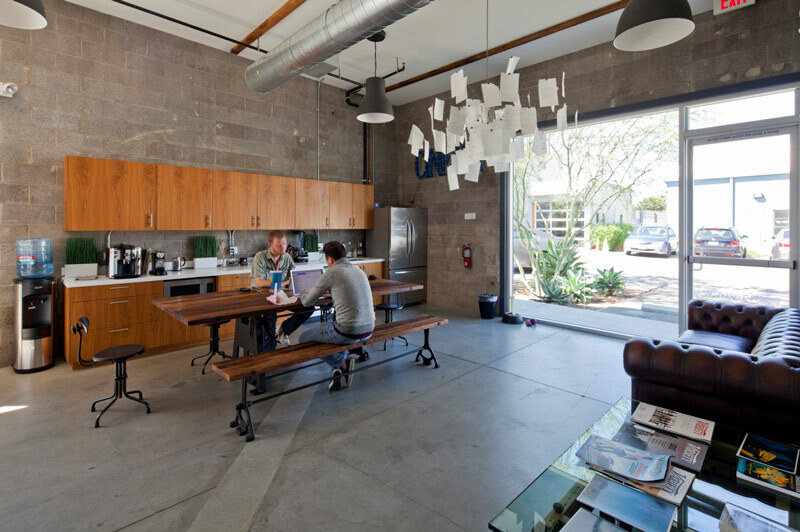 Hungry Man, Jump LA, Bandito Bros) and their highly creative offices are attractions for both clients and employees. Now, a $40M loan was secured to develop the final buildings, providing more available supply to feed the extreme creative office demand. bLAckwelder has posted some of the highest rental rates in Culver City (currently approximately $3.90/SF) and has shown no signs of slowing down. In the end, this is a great move for Culver City and LA's creative companies, allowing more companies to position themselves in real estate that fosters further growth. A joint venture between Alcion Ventures and Genton Property Group has secured a $40.1 million bridge and construction loan to complete the redevelopment of bLAckwelder, a 150,627-square-foot creative office campus. The funds will be used to complete redevelopment of six remaining buildings on the 19-building campus. Located at La Cienega Boulevard and Fairfax Avenue, the property was originally an industrial facility. The joint venture has already completed the renovation of 13 buildings to creative office space. In addition to redevelopment, the funds will also be used to demolish and rebuild one of the six remaining buildings. The completed buildings are 100% leased to multiple tenants. HFF, a commercial real estate capital markets services firm, secured the funds on behalf of the joint venture. The firm secured a three-year, floating rate loan to cover the redevelopment costs. HFF managing director Mark Wintner and senior managing director Doug Bond led the financing efforts, securing the loan through US Bank. HFF and the borrower did not respond to requests for a comment. bLAckwelder is one example of the flurry of creative office campuses under development in the area. The most notable is Kilroy Realty’s $380-million creative office development, Columbia Square. Similarly, this is also a redevelopment project. The property was once the CBS Broadcast Facility. Keeping the vintage quality, Kilroy is redeveloping the property into a 350,000-square-foot creative office campus with 20,000 square feet of retail space and 200 luxury long- and short-term residential rentals.